DATALOGIC has extended the compatibility of its Datalogic Jet PDA to Windev mobile 10, an integrated development environment to easily and quickly develop applications for mobile computers. 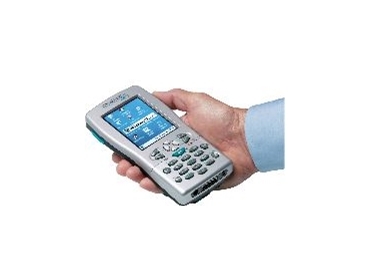 With Windev mobile it is possible to better utilise the specific functions of Windows CE Net on the Datalogic Jet PDA and use the barcode reader and RFID tag reader. This software tool brings real advantages in terms of financial costs, productivity and reliability with a reduction in error rates, optimised speed and automatic functions, such as exporting data to Word and Excel, report software, or PDF files. Windev mobile allows developers to use one set of tools that reduces coding time, ensures standards, eliminates errors and brings projects to completion on time and within budget. Development with Windev mobile enables companies to quickly respond to emerging challenges effectively, no matter the platform. As the largest European manufacturer of CCD and laser-based barcode readers and mobile computers, Datalogic brings advanced technology, intelligent design, and solid reliability to its comprehensive product range.